Paint pens, pin stripe tape and lug line detailing. 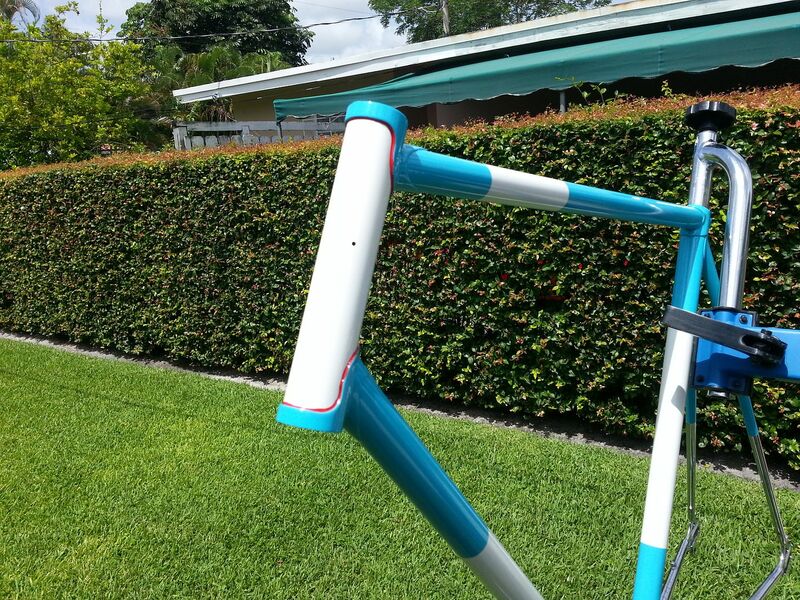 I am trying to find an old thread from this forum, its about using detailing paint pens for these lines, as well as outlining lugs, that was on this forum a few years back. Not sure if they would give you the crisp look that pin stripe tape gives you when its used at chrome socks for the forks and/or stays. For the detailing lines at the chrome socks, would you be best served by masking off where the detail line goes at the chrome/paint border? 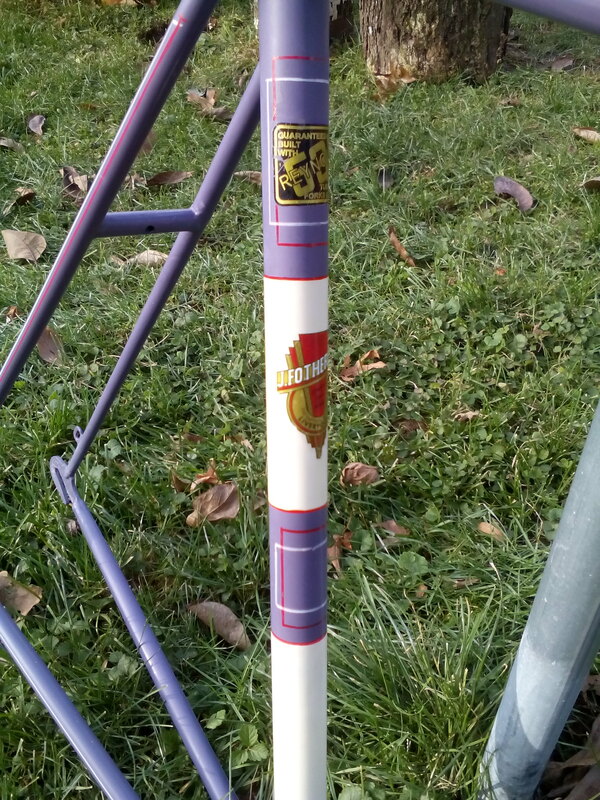 I haven't had any experience with these paint pens, I am not sure that paint would give the thickness that I would be after when applying the line at the socks though. 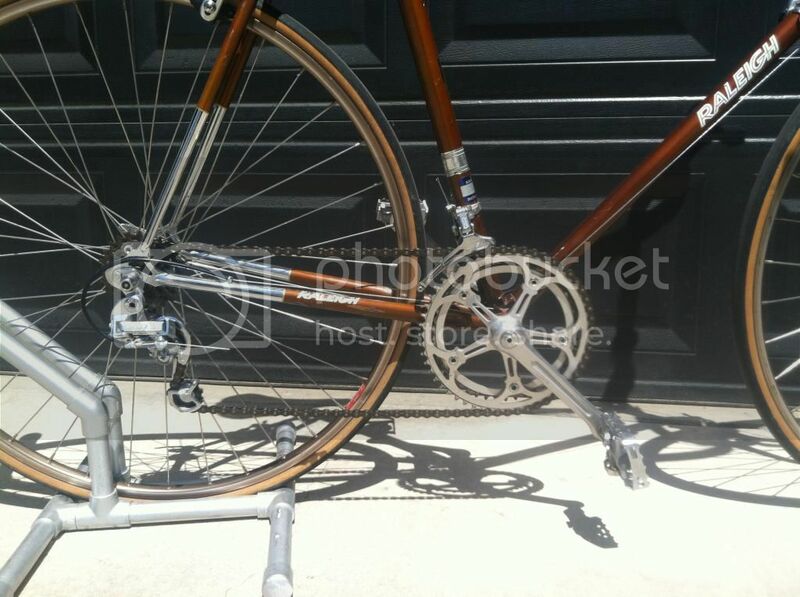 Mainly, I am considering outlining the lugs on the Medici Pro Strada. Nothing flashy, or a wide width, a simple thin contrasting color outline is all I am considering doing. A thin, white, pewter, or silver outline against the deep green metallic colourway would be the maximum for my taste. It has yellow windows on all of the lug cutouts, I am not sure about using yellow or gold for the outlines, but I haven't ruled it out either. I have a set of five Sharpie paint pens that I got at Staples. It's really paint, not like your usual Sharpie pens. White, yellow, red, blue, and I think black. I have never even opened that black one, which is why I'm not sure it's a black one at all. They are easy to use, and the paint is quite opaque. Putting white over a dark color, I had to go over it --two coats-- which was a little tricky. You don't have much time to correct errors. You can wipe it off immediately, but once it dries it's pretty permanent. The lines are not as thin as I'd like, though. I've also used silver and gold paint pens. Can't remember the brands; I've tried a few different brands and never found one I liked well enough to want to buy it again. The silver box lining and graphics I put on my Squarebuilt frame, for example, was such a pen; I think it was by Pilot (but would have to check). It went on pretty easy, but didn't really stand out; not quite bright enough. Very easy to remove, though; WD40, pledge, paste wax, any of these take it off in an instant. Paint pens are great for outlining lugs. One caveat, though, is if you plan on doing a lot of it in one sitting, get two pens...not because you'll run out of paint in one pen, but because the tip will go mushy after a while, making it impossible to get a crisp, thin line. Any tips on box lining @rhm? I suppose it's fairly straightforward - I remember seeing some video of Jack Taylor performing the process. Looks like a steady hand and practice are the biggies (not that I have either). I note he was using equipment a touch more sophisticated than a pen. I like the idea of a paint pen that leaves an easy to remove line, for the inevitable first-time shakes. 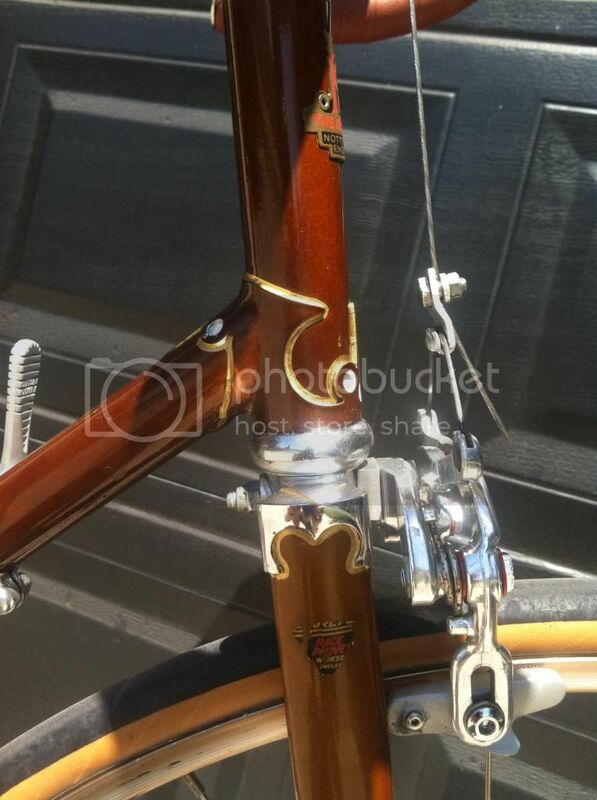 I used the gold paint pens to outline lugs on my '73 Raleigh supercourse. I also added a contrasting stripe on the rear, between the chrome and paint (as you are asking about). The pens worked great, but on the stripes...I used masking tape to create the sharp thin stripe, then used the pens to paint. Last edited by Essthreetee; 11-18-16 at 08:24 AM. Consider going to a real art supply store, I have found pens with thinner than typical tips there. Yeah, if you want Jack Taylor quality workmanship, you might want to get a professional to do it, or at least give up coffee for a few months before trying this. My box lining is shaky and amateurish for sure. I don't really mind. I put the frame flat on a table with plenty of space to walk around. Put the dog outside before trying this. Holding the pen between my thumb and first two fingers, leaving the last two fingers to act as a guide, I kinda lock my fingers with the pen placed on the tube where I want the line to go, then pull my hand down the tube as if it's paralyzed. It's a matter of stepping backward while using shoulder and elbow only for minor adjustments. You want to move briskly; any sign of hesitation will show up on the frame. The short lines are more difficult. If you want a guide for the short lines, the ones that go around the tube rather than up the tube, use something that follows the curve of the tube and is thick enough that the shaft (rather than the tip) of the pen rests on the guide. I do the long lines first, then remember that it would have made a lot of sense to do the short ones first. I use paint pens, and mask when painting the chrome/paint edge for that nice thin crisp line. 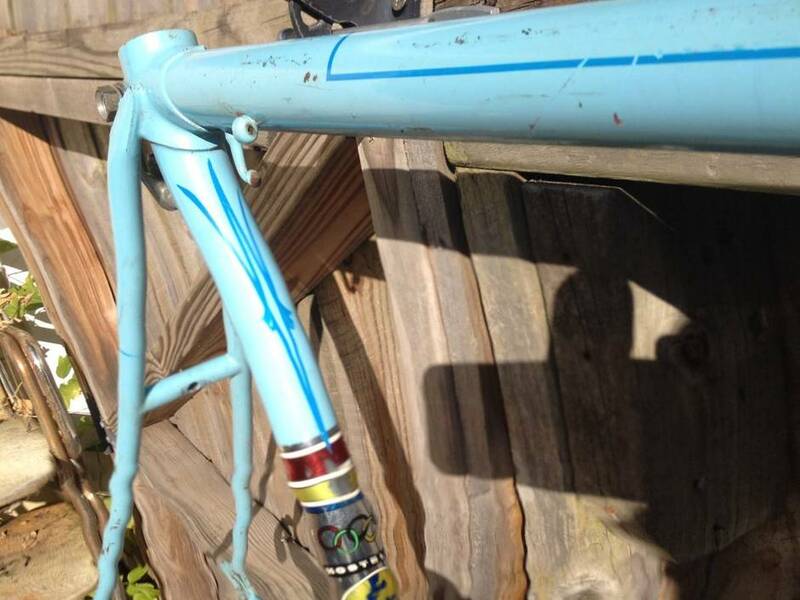 Lugs are freehand, but the lug shoreline, as long as the brazing is clean, is your guide. When it's not, my lining suffers. In the absence of a good art supply store close by, Michaels has some with thinner points. I'd have to make a jig if I were to attempt box-lining. These replies answer my questions, much appreciated for all the input from y'all. @rhm, I think those are just a bit beyond what I would want to undertake, but they are some beautiful bicycles you show there. I really appreciate you taking time to answer my question, also. The paint pens are looking like the best bet for me, for some reason my tremors from the PD let up when I am drafting for work, and I can make myself become steady for lettering on drawings, so the pens along with some 3M blue masking tape will be my likely choices. I'm with you USA Zoro, I'd need to make templates before I would even begin to box line any at all. I can adapt some of my drafting pens to doing some of this, and the K&E Leroy pen tips are in a whole slew of sizes. I do need to look at both Sharpies paint pens, and artist pens from an art supply store, or perhaps the University of West Florida bookstore. I can still scrounge up drafting supplies, and artist quality items, there and at the community college's store. Again, many thanks to everyone's input. Last edited by qcpmsame; 11-18-16 at 08:53 AM. Bill, for what it's worth, I have had bad luck with masking tape. Capillary action always seems to draw some wet paint under the tape somewhere. User error, no doubt, ymmv. Last edited by rhm; 11-18-16 at 08:55 AM. I use a special painters masking tape one of our coating's subcontractors showed me, out on one of the job sites, to avoid the capillary action you mentioned, rhm. I am amazed at the sheer number of different types of 3M painting use masking tapes available, including stick application liquid masking agents. Really handy on glass panes for window sashes. Thanks, that helps. JT quality not necessary here, so hopefully a fun winter project. Trick I learned before all the new fangled painting masking tapes were around was to use a brush and some clear coat and trace the tape with it first, once it dries then I paint. The clear will keep the color from bleeding under the tape and ruining your lines. I have used a crow quill pen and Testors to do lugs. Not as easy as a paint pen but the variety of nibs is vast, so you can get a nice fine line. Not my pic but anyway, I can see how one could do basic box-lining or the lugs; but I like some of the fancier lines, this isn't as fancy as some lines I've seen but just this would be nice to be able to do. When that Australian bike was discussed about a month ago, some pictures in that thread had very extremely nice work; it was a work of art. I have done lug lining on several bikes using a brush. It worked quite well, and if you keep a thinner-soaked rag handy you can easily erase anything you don't like. The trick with a brush is maintaining an even paint flow. For painting rings around the tubes I mask off with Scotch tape, the transparent plastic kind, it lets nothing through. When I mask I prefer to spray paint because the paint goes on much smoother and more evenly. I would be tempted to mask and spray for box lining, too, although if done carefully it would be too perfect and would lose the hand-painted look. I use a paint brush. I tried using a striping brush but found paint pens generally superior for lug lining when I did my PX10. There's lots of colors and varieties available at any art supply store. AFA box lining, I have no idea but as a simple cycling enthusiast, I have to say I like looking at the box lining that isn't perfect, but done by hand as well as possible, like on the old Singers and Herses etc. 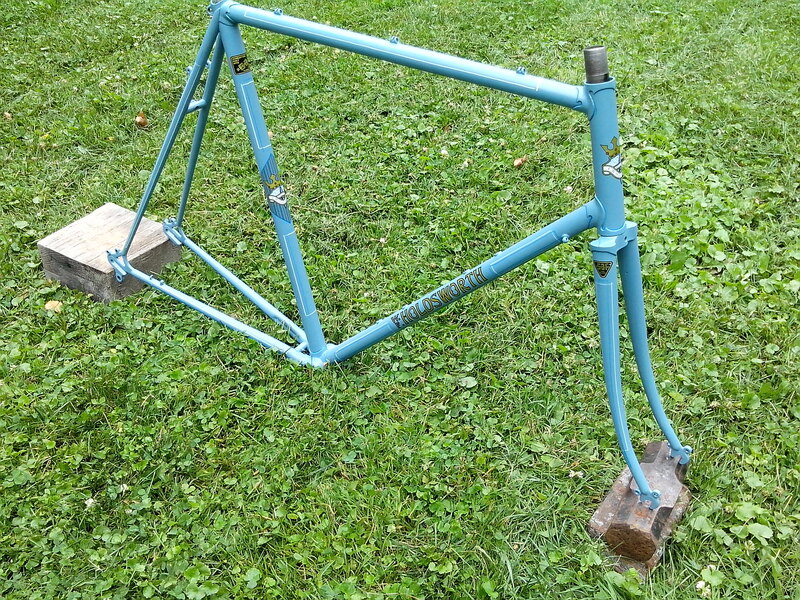 ISTR that old promo film about the Raleigh factory showed brief use of a jig for box lining. As I recall, the woman was pretty darn fast with it. If you look up videos of pros doing striping on cars, you will see they use a long magnetic strip as a guide. From what I can tell, the paint doesn't contact the strip; it's just there to rest the fingers and/or brush on. Obviously trickier on a bike but maybe it could work. The other thing I noticed on a couple vids I watched is they loaded up the brush and then went the full length of the car without stopping. Clearly the proper brush and paint consistency would be key. Neither video provided any instruction on that point, but it must be out there somewhere. Last edited by due ruote; 11-19-16 at 06:52 AM.